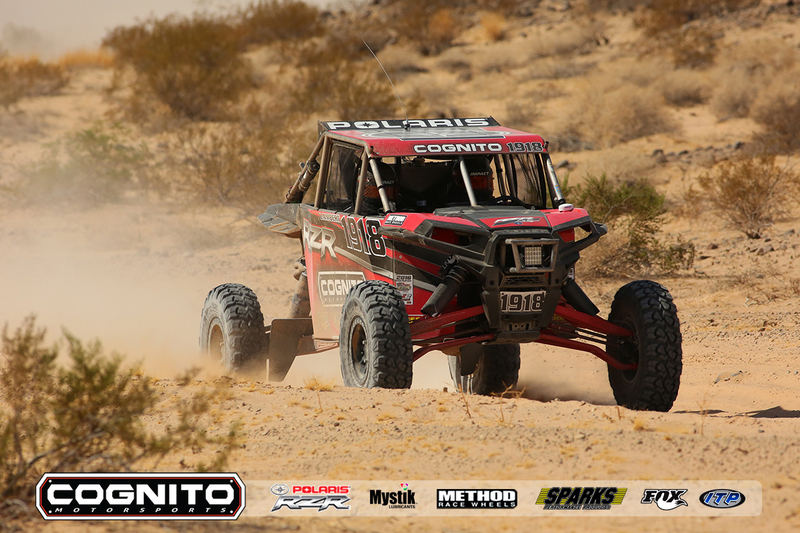 Coming into the 2016 Blue Water Desert Challenge, Cognito Motorsports had 5 wins in a row in Best in the Desert, winning every race of the season so far and 3 of those being overall UTV wins. We treated this race just like any other, with good prep and planning. 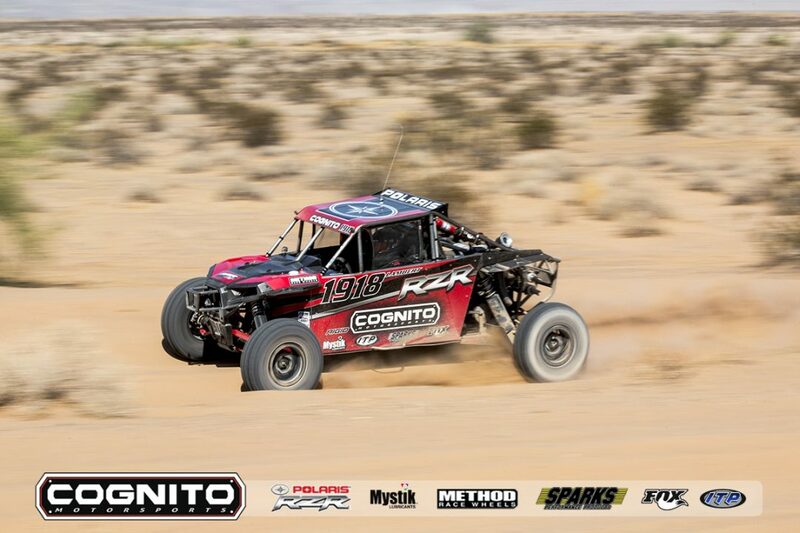 Since we won Vegas to Reno overall in our Hellraiser XP1K, we started the race in the pole position next to Matt Burroughs which was awesome to see Cognito suspension starting the race side by side. 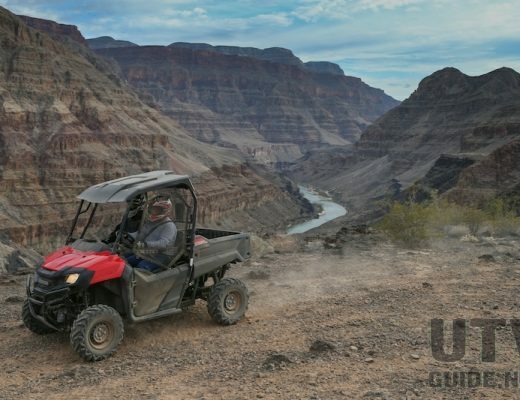 We took the hole shot and headed out into the desert with clean air. We stayed out front physically all 3 laps on day 1. Across the finish line, the first 3 naturally aspirated cars all had Cognito Motorsports suspension, felt good to see that! 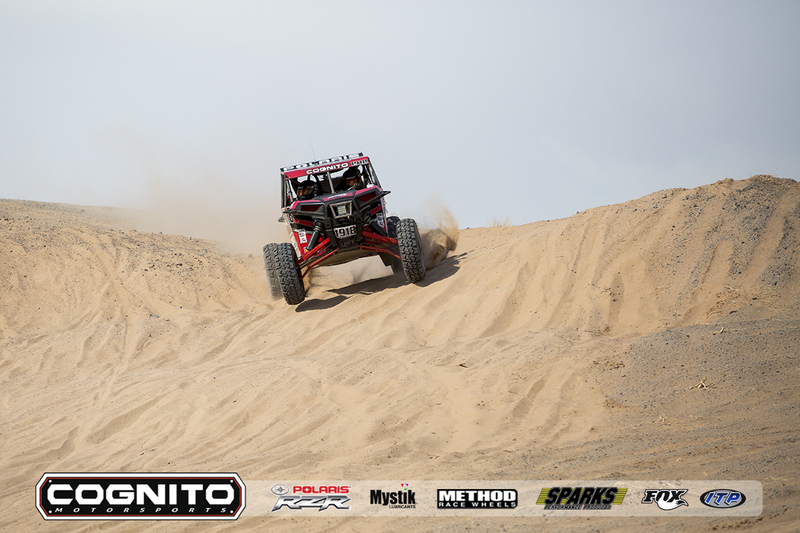 We were only 19 seconds off the time of the first turbo utv, and had gained a few minute cushion on the next NA car going into day 2. 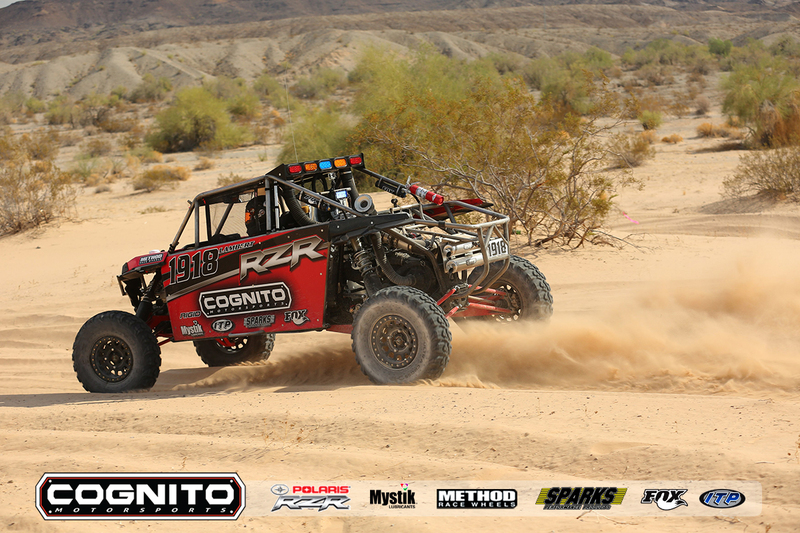 Since we had finished day 1 second overall, we started on the front row again, but next to the day 1 overall leader in a turbo car driven by Cory Sappington. We figured we would just have to let him go and hope to stay out of his dust. We did just that, he went in a hurry and we ran a fast pace for 3 laps, never getting passed and taking the win in the non turbo class and 2nd overall utv for the weekend. This win makes our streak 6 in a row in BITD, one more race to go and we sure would love to take one more win and sweep the season.